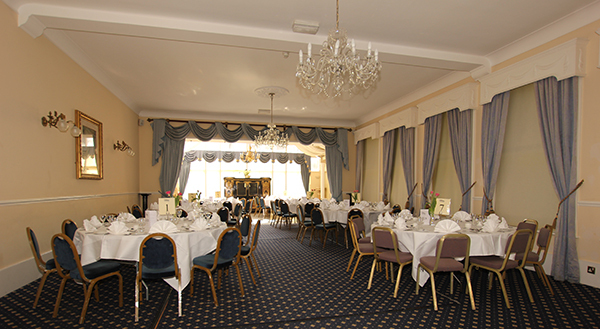 The Courtlands is a sought-after conference and meetings venue. Whether you have 150 people to lecture and entertain, a full day conference with support catering, or just need a nice place to meet with business associates, we have the facilities to suit. Business meetings do not have to take place in stuffy corporate rooms. We have four beautiful spaces in which you can conduct your conferences in elegant surroundings. Our rooms are flooded with natural light and wood-panelling supplies the peaceful ambience that is so conducive to a successful meeting – whilst complimentary wifi keeps you in touch with the office. We promise complete flexibility for all your needs. If your want to change the times of coffee, lunch or dinner it is never a problem – our staff are here to look after you as well as our private guests. Each of our Function Rooms offers free, fast and reliable internet from Vital – a leading provider of guest Wi-Fi and for your overnight delegates this complimentary broadband internet access extends to all our bedrooms. This magnificently light space opens into a large Conservatory, and is an extremely popular venue with its high ceilings, crystal chandeliers and full height windows. A large wood-panelled and elegant space, this self-contained suite offers its own bar and a beautiful red brick West facing balcony patio – ideal for relaxing, or making a phone call, with the stunning afternoon sunset as your back-drop.